The Cobalt MJ line of pumps is great for auto top off systems, reactors, or low flow equipment. These pumps are made in Italy and are much quieter in operation than similar pumps that appear to be identical. 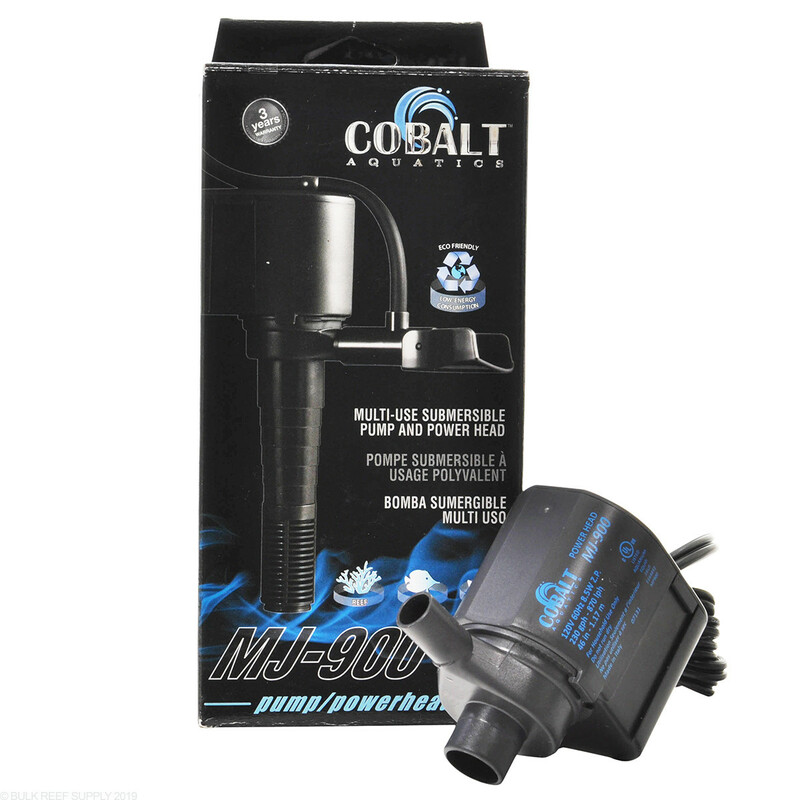 With so many applications the Cobalt MJ pumps have some of the best value for a submersible pump. Dimensions - 6" x 3" x 2"
The Cobalt Aquatics MJ series of pumps is the same Italian-made MJ you have been using for the last 20 years. Reliability and low operating noise have been the staple of this pump series, a principle reason why aquarists around the world have been using them for decades. After the original MJ distributor moved operations to China, Cobalt Aquatics jumped on the opportunity to work with the Italian manufacturer to continue to provide a source for this high quality product line. Mostly used for wave makers, protein skimmers, calcium reactors, nano aquariums, under gravel filters and hydroponic applications. Very quiet and reliable pump for my nuvo20 tank. Had it for 8 months now and have no complaints. Would totally buy it again if I'm in need of a return pump. 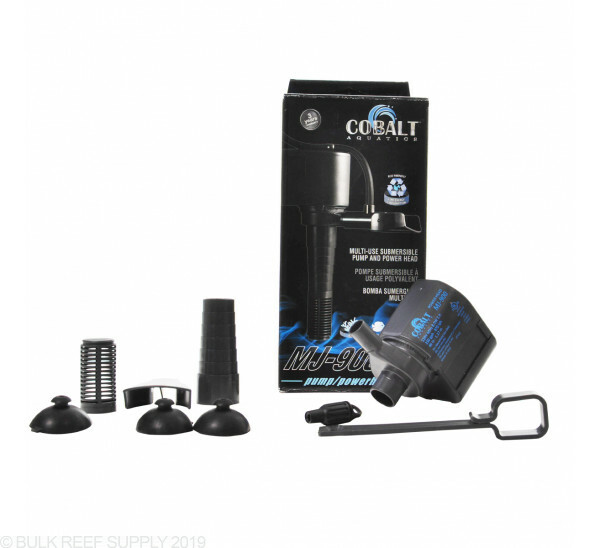 This powerhead/pump comes with several pieces and is interchangeable to fulfill all your needs. Quiet operation and powerful flow. Great product I would recommend this to anyone. Much quieter than other maxi jet. Runs my gfo reactor with valve half open. I bought this pump to replace my MJ1200 for my GFO/Carbon reactor. I like this pump better because it does the job and is quieter. I have only had this pump for 2 weeks, but there is no noise. I have had a MJ 900 from Marineland for 6 months on my GFO reactor and the noise was horrible. Now the only thing I hear is flow of the water from the output, no rattling. Perhaps I have a bad unit, but I've been running it for 2 months and it vibrates like mad. I added this pump to agitate the surface water and redirect my powerhead to the main tank. At first, the Cobalt was great, now (2 months later) it's vibrating horribly to the point that I will have to disconnect. Hopefully, a cleaning will take care of it, but if this is the case, then I would consider that to be ridiculous (I can go 6+ months on my other pumps and powerheads between cleaning). Either way, it's a big disappointment as it will not be easy to remove and I will likely have to come up with Plan C.
Great product. At first I bought a BRS reactor for carbon and with that I purchased a MaxiJet version of the same pump. I gave that a three star rating for excess noise. What I wrote then was: "I got this to use with the reactor instead of the recommended 1200 as it draws about 1/2 the watts with only a little loss in flow. The flow is fine and the price is fair, however the pump is loud to me. It is louder than my skimmer skimmer pump - skimmer is a reef octopus. On the plus it connects right up with the BRS reactors." This has the same pros but no noise cons. Also I use this on a second reactor with High Capcity GFO. Even this pump is overkill on pressure as I have to dial it way down to keep the tumbling just at the top and I have 1.5 cups of media in the reactor. I've had tanks for decades. One item that has repeatedly proven itself is the original Maxi Jet powerheads from Italy. They are quiet and draw low amps so cool and inexpensive to run. The newer Maxi Jets are made in China. I have reef friends who say they do not work as well especially in back pressure situations. 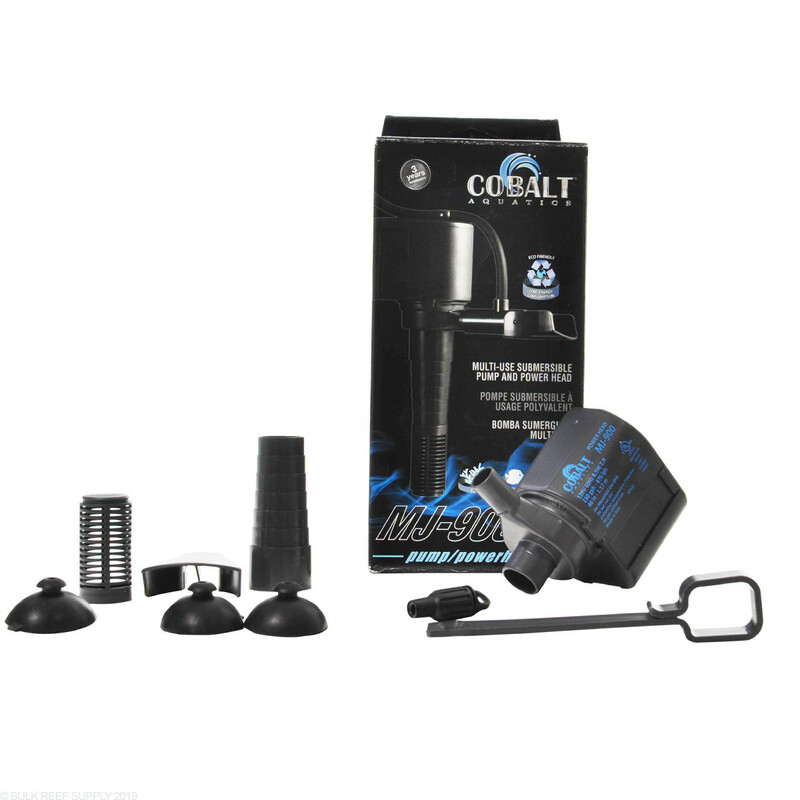 These Cobalt Aquatics are the same as the old tried and true original Maxi Jets. Buy these, the true Maxi Jets under a new name. The only problem you will have with these is they will never wear out and you'll have them forever. What size tubing does this require? 1/2 in id? This can connect to 1/2" ID diameter tubing! Feel free to let us know if you have any further questions!